MAAPPS, the Mid-Atlantic Association of Professional Process Servers, is holding their annual meeting and elections on November 4th in Gaithersburg, Maryland! Join your fellow process servers to partake in elections of officers and board directors, as well as networking opportunities. Members and nonmembers are welcome to partake and discuss the process serving industry, current relevant activities, and topics in process serving today. The agenda will include defining the rules of governance, more specifically review and discussion of the bylaws and policies, along with the recruitment and election of board members. Additional objectives comprise of defining the performance expectations of board members and ensuring the organization’s compliance with regulations. A special address will highlight proposed strategy and direction of the association and its work. This meeting will ultimately assess the needs of the organization’s target objectives, to envision the role of the organization in the process serving community it serves, and to plan the route to achieving this role. $10.00/per person for pizza and beverages. Alcoholic beverages are available for purchase at Bar. Since 2010, MAAPPS has focused on continuing education and support for process servers to help promote our industry. This includes legislation initiatives, training programs, and new updates for process servers in Maryland, Virginia, and the District of Columbia. 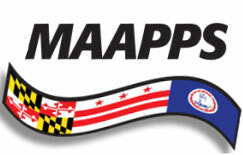 While MAAPPS’ focus is in the Mid-Atlantic region, they welcome process servers from anywhere to join and attend events! MAAPPS welcomes process serving company owners, as well as individual private process servers, interested in creating and supporting education; forming committees to create new laws; observe changing laws; license/certify process servers; and create a professional group of individuals interested in creating a better future for the process serving industry. MAAPPS also offers member benefits in the form of member-only content, bulletins, updates, and e-Newsletters. Join together with MAAPPS to help promote the professional process serving industry. Support associations help support individual process servers by giving them an organized voice, opinion, and force to promote and protect the legal support service industry.